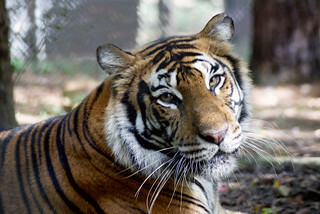 This Valentine’s Day, give your Valentine something unique—your love for the tigers! 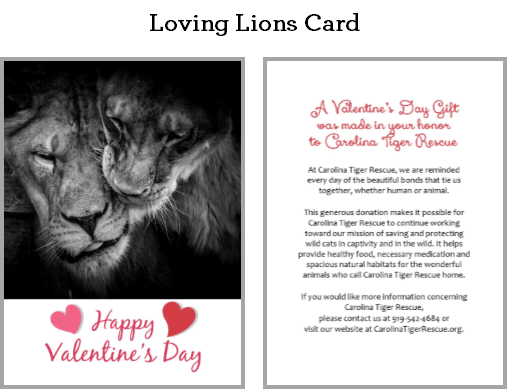 Make a donation of $25 or more and Carolina Tiger Rescue will send a card to your loved one to announce your gift. 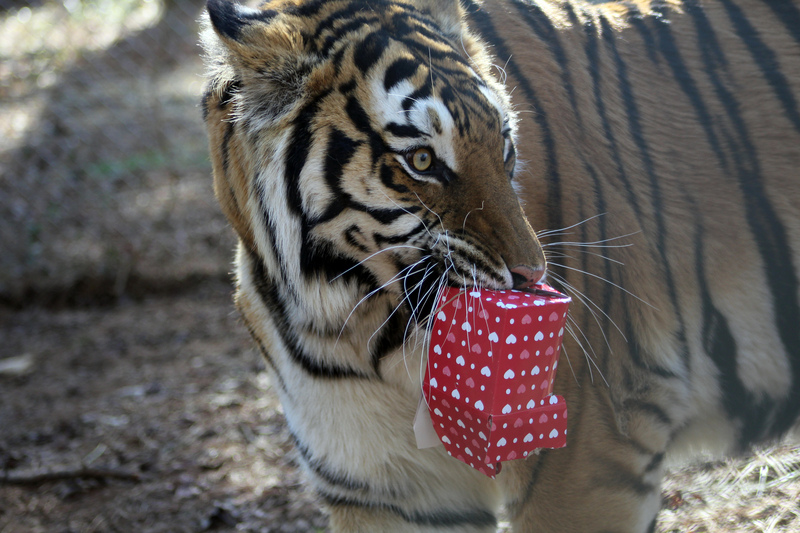 Your Valentine will receive a special Valentine’s Day card in their honor and the magnificent tigers (and other animals) will receive an extra special Valentine’s Day enrichment! PLUS, your Valentine won’t have to clean up wilted flowers off the kitchen table or spend days at the gym working off those chocolates. To purchase your valentine click here.